Loot Crate: November Theme Announcement and a Look Back at October’s “Fear” Crate! Leave a Comment on Loot Crate: November Theme Announcement and a Look Back at October’s “Fear” Crate! With about a week between now and the shipping of the November Loot Crate, we’re proud to announce that this month’s theme is BATTLE! The crate, which mails out on November 19, is set to feature exclusive content from Assassin’s Creed and Mega Man, a Loot Crate exclusive t-shirt, items from Street Fighter and Halo, and more! Additionally, for those of you who missed our unboxing video (or just don’t like video for whatever reason), you can check out some images from last month’s “Fear” Crate in the gallery below! October had some pretty cool exclusives, like the Dead Rising 3 sledgesaw pen and special variant cover for The Walking Dead— here’s hoping that November’s crate will be just as awesome! 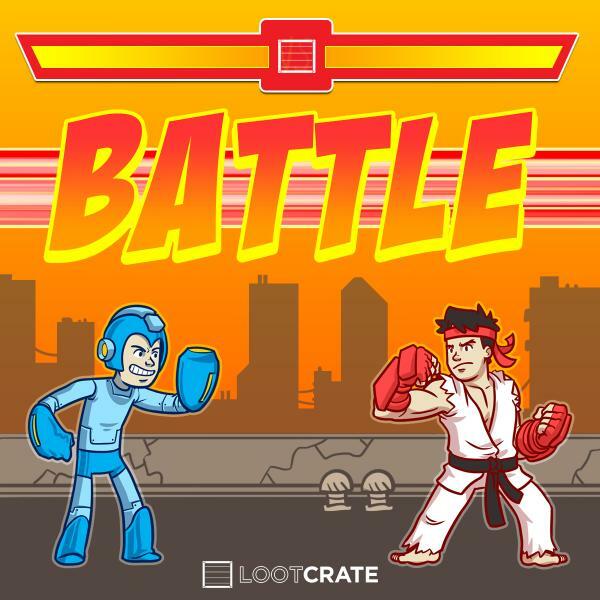 Don’t miss out on some excellent stuff this November… subscribe to Loot Crate here and take $3 off your order when you use the code BATTLE at checkout! And stay tuned to NYCityGuys in the next few weeks for a look at the November “Battle” crate and all the cool items inside! Next Entry Robot Chicken Holiday Special Premieres 12/7 on Adult Swim!